Parents, regardless of whether they are custodial or noncustodial can register for online child support services and have a login account. It helps them to comply with the set guidelines as you can manage your account online. Step 2: Enter your username and password and then click login. Step 2: Enter your username and verify. You will be taken through few more steps to verify your account before you can get your password. Step 2: Enter your social security number and email address and then submit. The need for enrollment comes when you want to create an account. To do this, you will need to identify yourself and this includes providing the system with detailed information about yourself and the parties involved. Step 1: Click register to enroll as a new user. Step 2: Enter your details in the fields, read the agreement and click I Agree to proceed. 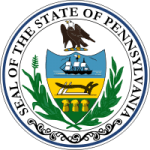 In Pennsylvania, there is a way you can make child support payments without having to go to the child support offices locally. It saves time and effort paying online as you will be able to know when you are supposed to pay and thus avoid penalties. Apart from that, you can access all child support resources the department has in store for parents.